New sponsor and zipper giveaway!! 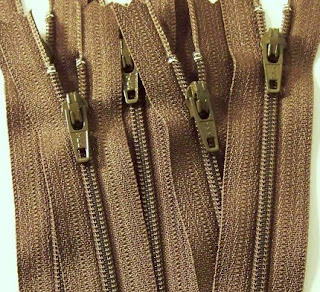 I have a very cool new type of sponsor to share with you today... Jennie from Zipit Zipper Supply offers a great selection of always-useful zippers in her Etsy store for a way, WAY better value than buying them at the fabric store! Every time I need a zipper I hate to spend the $3.50 or so on them at the big stores--it's not a lot of money in the long run but it feels expensive for a dress that was made out of a piece of vintage fabric from Goodwill or made over from a thrifted dress! The answer--buying zippers in bulk at a handy and affordable online seller like Zipit. Check out the great packages they have, with zippers ranging from 3-14" and in just about any color you want! Of course you can also get a pack of, say, 10 zippers all the same, bright color, for $5! I will definitely have to check back when I make five bridesmaid dresses before my wedding next August. My husband and I live in Wisconsin and have 4 kids (3 bright eyed girls and a bouncing baby boy). We run two Etsy shops- Zipit, where we (obviously) sell YKK zippers and also Kung Fu Cowgirl, where we make custom buttons, magnets, and pocket mirrors and a few other miscellaneous, quirky things. We like to spend our free time hiking, camping, rockhounding and daydreaming about making enough money to spend the cruddy cold Wisconsin winters somewhere warm where avocado trees grow and you can get fresh tortillas every day. Jennie has generously offered a giveaway to our readers--one lucky, randomly chosen commenter will win a $20 store credit to Zipit! How cool is that?! Visit Zipit and tell me which zipper set you'd order first. I will announce the winner next Monday, September 27th (giveaway ends Sunday the 26th at midnight)... good luck and have fun shopping at Zipit! Hi there. I'd order the 9" zip sampler set in the assorted colours. That way I'll have one for just about every skirt or trousers I plan on making over the next several months. I could also use the surplus for a "corset" design I have in mind. Then I'd order the 14" sampler set. Hard to decide! I'd go with the assorted 10 inch variety pack for dresses and the 5-inch for skirts! I am so glad you posted about this shop! What great deals. I think the 9" sampler set but there are so many great 4" zippers and I rarely make small zipper projects because the darn zippers are so expensive. Those days are over. 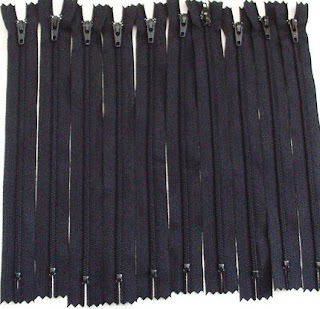 I would get the 9 Inch Zipper Sampler Pack YKK Bundle 50 Pieces. This has almost every color you could need, plus 9 inch zippers are perfect for little zipper wallets! I would buy "9 Inch Zipper Sampler Pack YKK Bundle 25" but I'm not sure I woulld use the zippers for a garment! I just love the way it looks and may do some wall art for my sewing room! Kind of handy to have all my zipper up on my wall when I need one!!!! Oh my, so many zippers! I think I'd start with the 6" assorted package. That rainbow of colors is so pretty! I would have to go for the 9" assortment. With all those colors, I would be sure to have the right one on hand for making clutches. Thanks! I'd love the rainbow set of 9 inch zippers. Beautiful! I love the 9 inch sampler pack. I love to make little coin purses, and think these would work great for my projects. 100 zippers for $30! Holy smokes! Wow, those are really great prices! ^^ I'd probably get the ten-inch black zippers, since they're so versatile. I would order the ten yellow 6" first! That butter yellow is so gorgeous, and I have several bolts of fabric that will look wonderful with it! I'm thinking about a nice fitted top. the turquoise ones, definitely. Love the color. I think I would do the 9" earth tones pack. i would get one back of the 25 assorted 7" zippers for the clutches i make, and probably a mix of some longer ones for when i make dresses for my girls!! thanks so much! Awesome! I didn't know such a place existed! I love that you can buy a whole set of them! I want the rainbow set! I would so get the 9" multi zipper pack! I always need zippers because I make tons of bags! I just might start buying these. Zippers are so 'spensive but these are not! And way cuter. and so many colors! Love the 25 Assorted 6 Inch Zippers! Thanks for the giveaway! I'd have to go with the 50 Assorted 12 Inch Zippers. I loves me the rainbow colors. I'd order the 9" zipper sampler pack. I've been making a ton of exposed zipper skirts so this way I'd have a whole variety of colors to work with! I've followed your blog for a while now. I love it! I hope I win! I adore zippers, and I need some new ones at the moment. i'd get the 4" assortment. i want to make little pouches. I have a huge cast of Christmas Carol actors to sew for in the next few months. 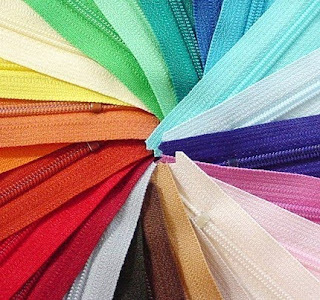 I would get the rainbow of 9" zippers to make lots of long Victorian skirts. OMG the 4 inch zipper rainbow would be PERFECT for the quiet book I'm making my son. I so hope I win! Been a follower for awhile and love it! wow! I just started sewing earlier this year and have already seen how expensive zippers are!! I would love to try out the 8" rainbow 10 pack. I have bookmarked your store and will definately be ordering in the near future!!! I would love to get a sampler pack, either 8" or 9"
I'd love to get 9 Inch Zipper Sampler Pack YKK Bundle 25 Pieces. I wonder if she could do a pack of short zippers and long zippers. I'd love to have skirt zippers and dress zippers. Wow, I've never thought of zippers as pretty before, but these definitely are! I would get the 9 inch sampler pack. Love it! I'd get a sampler pack, probably the 6 inch one, they'd be great for pouches. I'd order the ten 9 inch really dark brown set! Looks like a great color and I love all combinations with brown these days! Definitely gonna be coming back to this store, the cost of zippers is just painful in fabric stores. I have yet to learn how to sew a zipper because of what you mentioned. The price is daunting, especially when I consider if I don't get it right I have also ruined a pricey piece of fabric. But I think maybe I could get up the guts to try if the zippers were free...I think the 8 inch sampler could give me enough room to figure it out! I would order the 9 inch earth tones pack because those are the colors of most clothes I wear that would require a zipper. Wow. What a great store! I would get the Ten Cherry Red 20 Inch Zippers for Star Trek costumes I'm going to be making soon! Wow! Thanks for the info; I've already made this etsy shop a favorite in my etsy account. 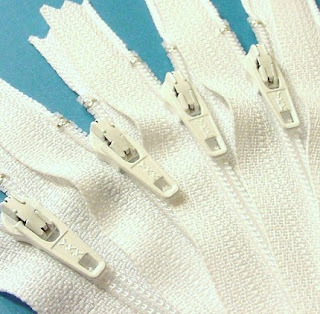 I'd probably first order the ten 20-inch vanilla zippers since they're so versatile and I can use them as is or cut them down. first off Im so glad to find out about this company! I hope to not only win some zippers, but I plan on becoming a new costumer! Definitely a sampler pack ... not sure what size, maybe 8 in? What good prices on zippers! Wow! What great prices! So many beautiful zippers, so I would probably get a sampler or assorted pack. So fun! I love the colorful photos. I'd order the 6" zipper assortment first, to use on tops and in little bags Fun! So colorful! I hate that I have to drive at least 20 minutes to get to a fabric store just for small things like zippers. I'd snap up a variety pack of probably the 10" zippers. I'd love to have lots of zippers of different colors on hand so I could find something for any project that suddenly popped to mind! It would be hard to decide! It depends on what project I'm working on, probably whirte or black, or maybe even the assorted ten in. , if ten inch is the size I need at the time. Thank you! I'm going to share this shop with all of my FB friends! I would DEFINITELY buy the 100 assorted 8 inch zippers///I love the feeling of a grab bag! Wow, thanks for sharing! I'd probably get one of the assorted 9" zipper packs to have on hand. I tend to avoid using zippers now because they're pretty expensive around here (there's only one real fabric store about an hour away) and I'm always concerned about messing them up. With these deals, though, I could really practice without feeling bad! love the 9 inch sampler pack, but almost think i would get the 14 inch one first, better to be tooo long, then too short. I would buy the 9" sampler. I'd go for the 9" zipper sampler pack. I would love the 50 assorted 8 in zippers! The pictures are wonderful! 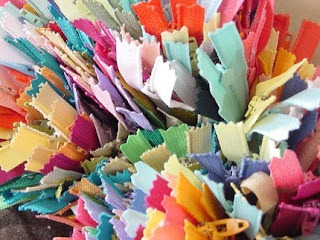 I think I would do assorted and make a rainbow zipper necklace of some sort. with christmas around the corner, an assortment of 6" zippers would be perfect! I didn't realize I would get so excited about zippers, but once I saw the 9" zipper assortment I squealed. I Would buy the 25 Assorted 4 Inch Zippers, they are lovely and can be used in many projects. I am following your blog, and it is very nice! 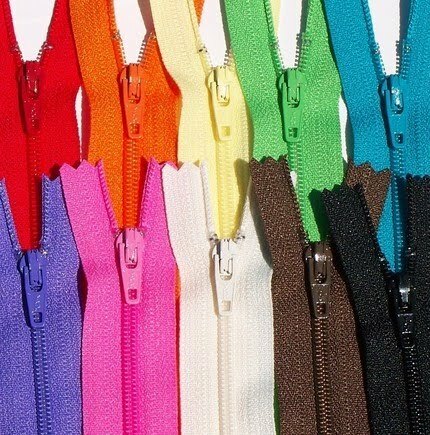 I'd order the assorted 8" zippers, I love cute zipper colors and am already imagining the finished projects I could make. Thank-you for introducing us to an excellent zipper source! I'd order the 100 assorted 6 inch zippers - all those beautiful colors!!! It'd be awesome to have so many zippers on hand for purses, dresses, what not! I have been reading your blog for a while, but I am now a follower! My email is: Kimbahleigh666@gmail.com. I'm also reposting this on facebook.